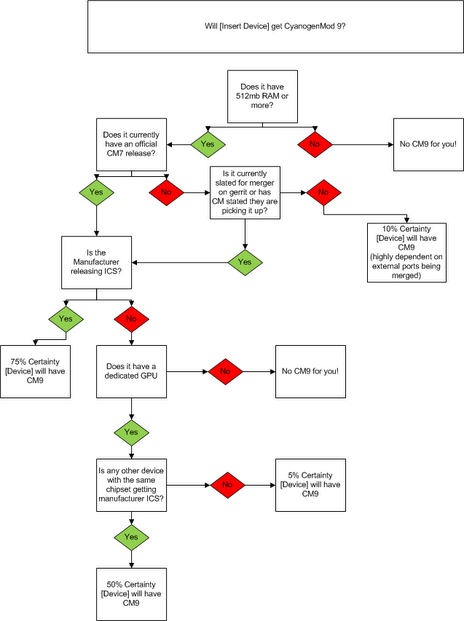 In response to that question, the CM team has created a handy flowchart to help provide you with an answer. While that answer may not be a definitive one, rest assured it should clear things up a bit. Will Your Device Get CM9? Jeremy aka Jerdog is the OEM Relations Manager and Senior Moderator over @ XDA Developers and when he's not over there you can find him writing reviews on Land of Technology. Cyanogen has been way too slow with updating their ROMs.